1. Bozorov T.A. *, Rasulov B.A., Zhang D.Y. Characterization of the bacterial community of larval gut of invasive Agrilus mali Matsumara (Coleoptera: Buprestidae), and uncovering plant cell-wall degrading cultivable bacteria. Scientific Reports. 10.1038/s41598-019-41368-x. 2. Li X, Liang Y., Gao B., Mijiti M., Bozorov T.A., Yang H., Zhang D.Y. and Wood A.J. ScDREB10, an A-5c type of DREB gene of the desert moss Syntrichia caninervis, confers osmotic and salt tolerances to Arabidopsis. Genes, 2019, 10:146. doi:10.3390/genes10020146. 3. Yang H., Zhang D., Zhang D., Bozorov T.A., Abdullaev A.A., Wood A.J., Wang J., Li X., and Zhao J. Overexpressing of ALDH21 from Syntrichia caninervis moss in upland cotton enhances fibre quality and boll components traits, and physiological parameters during deficit irrigation. Crop Science. Crop Sci., 2019, 59:1–12 doi: 10.2135/cropsci2018.08.0477. 5. Bozorov T.A. *, Usmanov R.M., Yang H., Hamdullaev S.A., Musaev S., Shavkiev J., Nabiev S., Zhang D., Abdullaev A.A. Effect of water deficiency on relationships between metabolism, physiology, biomass, and yield of upland cotton (Gossypium hirsutum L.). Journal of Arid Land, 2018, 10(3): 441–456. (corresponding author). 6. Baboev S.K., Buranov A.K., Bozorov T.A., Adilov B.S., Morgunov A.I. Studying of local wheat landraces of Uzbekistan. Journal of Agricultural Biology, 2017, 52(3), 553-560. doi10.15389.agrobiology.2017.3.553eng. 7. Bozorov T.A. *, Dinh S.T. and I.T. Baldwin. JA but not JA-Ile is the cell-nonautonomous signal activating JA mediated systemic defenses to herbivory in Nicotiana attenuata. Journal of Integrative Plant Biology, 2017, 59(8), 552-571. (co-corresponding author). 8. Shavkiev J.Sh., Khamdullayev Sh.А., Nabiev S.M., Bozorov T.A., Abdishukirova S.K., Eshonkulov E.S. Chlorophyl content in leaves of cotton varieties under the conditions of optimal irrigation regime and drought. The Way of Science, 2017, 4 (48), 16-18. 9. Bozorov T.A., Usmanov R.M., Nabiev S., Shavkiev J.Sh., Hamdullaev Sh.A. Metabolome profiling during water deficiency in medium-fiber cotton varieties of Gossypium hirsutum L. species. Problems of modern science and education, 2016, 33(75), 10-12. 10. Buronov A.Q., Bozorov T.A., Baboev S.K., Murzikova I. Statistical analysis of valuable traits in wheat landraces in Uzbekistan. Uzbek Journal of Biology, 2014, 5, 51-54. 11. Bozorov T.A. and Baldwin I.T. Small RNAs and transcriptional regulation of plant defense responses against insect herbivory. Endocytobiosis and cell research. 2012, 22, 82-85. 12. Bozorov T.A., Baldwin I.T. and S.G. Kim. Identification and profiling of miRNAs during herbivory reveals jasmonate-dependent and -independent patterns of accumulation in Nicotiana attenuata. BMC Plant Biology, 2012, 12:209. 13. Bozorov T.A., Pandey S.P., Dinh S.T., Kim S.G., Heinrich M., Gase K. and I.T. Baldwin. Dicer-like proteins and their role in plant-herbivore interactions in Nicotiana attenuata. 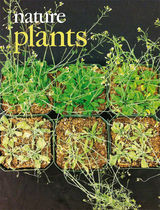 Journal of Integrative Plant Biology 2012, 54:3, 189–206. 14. Gase K., Weinhold A., Bozorov T., Schuck S. and I.T. Baldwin. Efficient screening of transgenic plant lines for ecological research. Molecular Ecology Resources 2011 (11), 890–902. 15. Abdurakhmonov I.Y., Devor E.J., Buriev Z.T., Huang L., Makamov A., Shermatov S.E., Bozorov T., Kushanov F.N., Mavlonov G.T. and A. Abdukarimov. Annotation of small RNA and microRNA mature sequences from developing ovules of G. hirsutum L. BMC Plant Biology 2008, 8:93. 16. Bozorov T.A., Abdurahmonov I.Yu., Buriev Z.T. and A. Abdukarimov. Creating of gene knockout constructs. Reports of Academy of Sciences of Uzbekistan. 2009 (1), 63-65. 17. Abdurakhmonov I.Yu., Bozorov T.A., Buriev Z.T., Shermatov Sh.E. and A. Abdukarimov. RNA interference of cotton HY5 gene in model plant Arabidopsis, Uzbek Journal of Biology, 2008 (4), 18-21. 18. Buriev Z.T., Bozorov T.A., Abdurahmonov I.Yu., Yakubov M.D. and A.A. Abdukarimov. Somatic embryogenesis and regeneration of cotton (Gossypium hirsutum.L ) Coker 312. Reports of Academy of Sciences of Uzbekistan. 2008 (2), 80-83. 19. Bozorov T.A., Abdurahmonov I.Yu., Buriev Z.T. and A. Abdukarimov. Silencing of Arabidopsis phytochrome genes expression by small interfering RNAs. Uzbek Journal of Biology, 2008 (4), 57-60.